The singer-songwriter was recorded by his friend and biographer Robert Shelton on a plane journey in March 1966. He said: "I kicked a heroin habit in New York City. I got very, very strung out for a while, I mean really very strung out and I kicked this habit. "I had a habit, I had about a 25-dollar-a-day habit and I kicked it." By 1966 when the interview was recorded, Dylan had caused controversy by moving from his folk roots and embracing rock music. His European tour of the same year saw him combine an acoustic set and an electric set backed by the rock musicians who would become The Band. 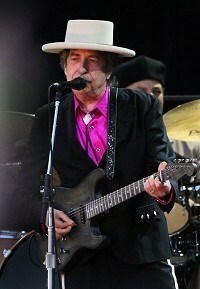 Their gig at Manchester Free Trade Hall became famous when a member of the audience branded Dylan "Judas" for betraying acoustic folk music. Some of the recently rediscovered tapes, which will be included in a new edition of Shelton's book No Direction Home, were played on the BBC Radio 4 Today programme. The singer told Shelton he thought about suicide, saying "Death to me is nothing. I could have easily gone over and done it." He said: "I'm not the kind of cat that's going to cut off an ear if I can't do something. I'm the kind of cat that would just commit suicide, I'd shoot myself in the brain, if things got bad I'd jump from a window."